Pete Wray is a community development and youth worker. 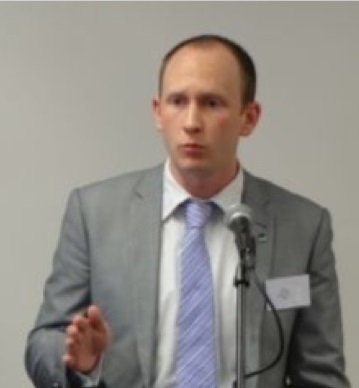 He previously stood as a candidate for NI21 and served on their party executive. Pete is passionate about promoting a more liberal and inclusive Unionism in order to make the United Kingdom more attractive for all sections of the community in Northern Ireland. I am Northern Irish. I would also call myself British, and I make no apologies for that, but first and foremost I am Northern Irish. Latest census (2011) and opinion polls suggest that this Northern Ireland identity is steadily growing, and it’s growing within both unionist and nationalist communities. The Northern Ireland Life and Times Survey 2016 finds that over half of those surveyed described themselves as Northern Irish. There is no doubt in my mind that the best thing for Northern Ireland is to remain part of the UK. I base this on simple economics, and on the fact that it is the wish of the majority of people living in our country. The issue of national sovereignty was resolved 19 years ago with the signing of the Belfast Agreement. It’s my opinion that unionist politics has failed to build a better Northern Ireland, and it has made virtually no attempt to move towards a society where both Protestant and Catholic culture and traditions are treated with parity of esteem. Of course the same can be said of nationalism, however it’s within the interest of unionism to bring all sections of the community along and to leave the bitter sectarian politics in the past. Instead, unionist politics seems to be content on polarising society, and keeping the orange and green issues front and centre. This may help to bring out the unionist vote due to the unionist electorates fear of a Sinn Fein First Minister, but it is turning off a generation of young people from both main traditions, who quite frankly don’t care about the politics of the past. Evidence suggests that there are many people from a Catholic community background living in Northern Ireland who are pro-union, but they would never vote for a unionist party. Unionism needs to ask the question why this is the case. While many from the Catholic community are happy to remain in the UK, they feel that unionism is a cold house for them. Unionism still panders to every vogue unionist cause and is never willing to put its head above the parapet to take a political stance around social or cultural issues that will upset their core vote. The mask of Gerry Adams slipped in 2014 when he was recorded saying that what would break these ‘orange bastards’ was equality. Political unionism was quick to condemn his language and sectarian sentiment, and rightly so, however they didn’t learn any lessons from it. Adams and Sinn Fein know that while unionism hardens on issues such as equal marriage, Irish language, and various other social issues, many of the electorate, particularly young people, will be turned off. This then opens the door for a wider mandate which they will aim to build on a serious conversation around a united Ireland. Arlene Foster made the mistake of the ‘crocodile’ comment that lit the touch paper for the nationalist/republican surge at the 2017 assembly elections. I don’t share her views on the Irish language however I do believe that Sinn Fein are like a crocodile that thrives in divisive politics and feeds off sectarianism in an attempt to achieve their political goal. The problem is that unionist leadership has been feeding that crocodile for many years now. My message to unionist leadership is to stop feeding the crocodile of Sinn Fein. Stop maintaining the sectarian battlefield where Sinn Fein can go toe to toe. Instead, blow them out of the water by leading the way for a Northern Ireland where all people can be proud to call themselves Northern Irish. 113 Responses to "OPINION: Community Worker Pete Wray argues for a more inclusive Unionism"
I am now not sure the place you’re getting your information, but great topic. I needs to spend some time learning much more or understanding more. Thanks for great information I was looking for this info for my mission. You actually make it seem really easy together with your presentation however I to find this topic to be really one thing which I think I’d never understand. It seems too complicated and very wide for me. I am looking forward in your next submit, I will try to get the hold of it! Have you ever considered publishing an ebook or guest authoring on other sites? I have a blog centered on the same ideas you discuss and would really like to have you share some stories/information. I know my viewers would appreciate your work. If you’re even remotely interested, feel free to send me an e mail. There are actually numerous particulars like that to take into consideration. That may be a great point to bring up. I provide the thoughts above as basic inspiration but clearly there are questions like the one you carry up where crucial thing shall be working in trustworthy good faith. I don?t know if greatest practices have emerged around issues like that, however I’m sure that your job is clearly identified as a fair game. Each boys and girls really feel the influence of only a second’s pleasure, for the remainder of their lives. Thanks so much for providing individuals with an exceptionally nice possiblity to read articles and blog posts from this website. It can be so fantastic plus stuffed with amusement for me and my office friends to search your site nearly thrice per week to learn the fresh items you have. Not to mention, I’m also at all times motivated concerning the beautiful creative ideas you serve. Certain two tips in this article are undeniably the very best we have all ever had. Very great post. I just stumbled upon your blog and wanted to say that I have truly loved browsing your weblog posts. After all I will be subscribing for your rss feed and I’m hoping you write again soon! I do like the way you have framed this specific difficulty and it does indeed supply me personally some fodder for consideration. On the other hand, through everything that I have seen, I simply wish as the remarks pile on that people continue to be on issue and not start on a tirade of some other news du jour. All the same, thank you for this exceptional piece and whilst I do not really agree with it in totality, I regard your standpoint. I’d should check with you here. Which isn’t something I often do! I get pleasure from reading a put up that can make individuals think. Additionally, thanks for allowing me to comment! I wish to convey my love for your generosity in support of men and women that absolutely need help on in this area of interest. Your very own dedication to passing the message around was especially powerful and have in most cases allowed individuals like me to attain their desired goals. The interesting report implies much to me and extremely more to my office workers. Thanks a ton; from all of us. We are a group of volunteers and starting a new scheme in our community. Your site provided us with helpful information to work on. You’ve performed a formidable task and our whole neighborhood will probably be grateful to you. There are actually numerous details like that to take into consideration. That could be a great point to bring up. I offer the ideas above as basic inspiration however clearly there are questions like the one you convey up where an important factor shall be working in sincere good faith. I don?t know if greatest practices have emerged around things like that, but I am positive that your job is clearly recognized as a fair game. Each boys and girls feel the affect of only a second’s pleasure, for the remainder of their lives. Thank you for sharing excellent informations. Your website is so cool. I am impressed by the details that you’ve on this site. It reveals how nicely you perceive this subject. Bookmarked this web page, will come back for extra articles. You, my friend, ROCK! I found simply the info I already searched everywhere and just could not come across. What a great website. Hiya very nice site!! Guy .. Excellent .. Amazing .. I’ll bookmark your site and take the feeds also…I am glad to find so many helpful information here within the put up, we’d like work out more techniques in this regard, thank you for sharing. . . . . . I?m not sure where you are getting your information, but great topic. I needs to spend some time learning more or understanding more. Thanks for wonderful info I was looking for this information for my mission. Thank you for another fantastic article. Where else could anyone get that kind of information in such an ideal way of writing? I have a presentation next week, and I am on the look for such info. You could certainly see your expertise in the work you write. The world hopes for more passionate writers such as you who aren’t afraid to mention how they believe. At all times follow your heart. I do not even understand how I ended up right here, but I believed this post was great. I don’t know who you might be however definitely you are going to a famous blogger if you happen to aren’t already 😉 Cheers! I really wanted to jot down a brief comment to be able to thank you for all of the lovely steps you are placing at this website. My time consuming internet investigation has now been paid with high-quality content to write about with my two friends. I ‘d suppose that we website visitors are rather lucky to exist in a really good community with so many lovely individuals with very beneficial techniques. I feel quite happy to have used your entire website page and look forward to so many more enjoyable minutes reading here. Thanks a lot again for all the details. A powerful share, I just given this onto a colleague who was doing just a little analysis on this. And he in fact purchased me breakfast because I discovered it for him.. smile. So let me reword that: Thnx for the deal with! But yeah Thnkx for spending the time to debate this, I feel strongly about it and love reading extra on this topic. If possible, as you become expertise, would you thoughts updating your weblog with more particulars? It is highly useful for me. Massive thumb up for this blog publish! Great goods from you, man. I have understand your stuff previous to and you are just extremely excellent. I actually like what you have acquired here, really like what you are saying and the way in which you say it. You make it enjoyable and you still take care of to keep it sensible. I can not wait to read much more from you. This is actually a terrific website. Admiring the hard work you put into your site and in depth information you provide. It’s good to come across a blog every once in a while that isn’t the same out of date rehashed information. Wonderful read! I’ve saved your site and I’m adding your RSS feeds to my Google account. Once I originally commented I clicked the -Notify me when new feedback are added- checkbox and now every time a remark is added I get four emails with the identical comment. Is there any approach you may take away me from that service? Thanks! Just desire to say your article is as surprising. The clearness in your post is just spectacular and i can assume you are an expert on this subject. Fine with your permission let me to grab your feed to keep updated with forthcoming post. Thanks a million and please carry on the rewarding work. I was recommended this website by means of my cousin. I’m not sure whether this publish is written by way of him as no one else recognize such exact approximately my difficulty. You’re amazing! Thank you! It’s really a great and helpful piece of information. I’m satisfied that you just shared this useful information with us. Please stay us up to date like this. Thank you for sharing. What i don’t realize is actually how you are not actually much more well-liked than you may be right now. You’re very intelligent. You realize thus significantly relating to this subject, made me personally consider it from a lot of varied angles. Its like women and men aren’t fascinated unless it is one thing to do with Lady gaga! Your own stuffs nice. Always maintain it up! You could definitely see your expertise within the work you write. The sector hopes for more passionate writers such as you who are not afraid to mention how they believe. Always follow your heart. I was recommended this website by means of my cousin. I am not sure whether or not this put up is written via him as no one else understand such particular approximately my trouble. You’re amazing! Thank you! The subsequent time I learn a blog, I hope that it doesnt disappoint me as much as this one. I mean, I do know it was my choice to learn, but I actually thought youd have one thing interesting to say. All I hear is a bunch of whining about something that you could fix in case you werent too busy on the lookout for attention. Thanks – Enjoyed this post, is there any way I can receive an alert email when you publish a new post? hey there and thanks in your info – I have certainly picked up something new from right here. I did on the other hand expertise a few technical points the usage of this site, since I skilled to reload the web site lots of occasions previous to I may just get it to load correctly. I had been wondering if your web host is OK? Now not that I am complaining, but sluggish loading circumstances times will often impact your placement in google and can harm your high-quality score if ads and ***********|advertising|advertising|advertising and *********** with Adwords. Anyway I am including this RSS to my email and can look out for much more of your respective exciting content. Ensure that you update this again very soon.. I was just looking for this information for a while. After 6 hours of continuous Googleing, finally I got it in your web site. I wonder what is the lack of Google strategy that do not rank this kind of informative sites in top of the list. Usually the top websites are full of garbage. It is appropriate time to make some plans for the future and it’s time to be happy. I’ve read this post and if I may I want to recommend you some fascinating issues or suggestions. Maybe you could write subsequent articles regarding this article. I want to read even more things about it! Hi there, simply became alert to your weblog through Google, and found that it is really informative. I am gonna be careful for brussels. I will be grateful in the event you proceed this in future. A lot of folks can be benefited from your writing. Cheers! Thank you so much for providing individuals with such a nice opportunity to discover important secrets from here. It’s usually very pleasant and stuffed with a great time for me personally and my office colleagues to visit your site minimum three times every week to see the newest things you have got. And lastly, I’m so usually contented considering the good opinions you give. Selected 1 facts in this article are certainly the most beneficial we have had. Thanks for your personal marvelous posting! I quite enjoyed reading it, you happen to be a great author.I will be sure to bookmark your blog and definitely will come back later in life. I want to encourage that you continue your great writing, have a nice morning! Great web site. Plenty of useful information here. I’m sending it to some friends ans also sharing in delicious. And naturally, thanks for your effort! What i don’t realize is in fact how you are not actually a lot more neatly-liked than you might be right now. You’re very intelligent. You recognize therefore significantly in the case of this matter, made me personally consider it from a lot of varied angles. Its like women and men aren’t fascinated until it is something to do with Girl gaga! Your personal stuffs outstanding. At all times handle it up!